Do Insurance Rates Rise After a Car Accident If You Are Not At Fault? Auto accidents are one of the primary causes of death in the United States. In 2017, it was reported that traffic deaths in 2016 increased to the highest level in nearly 10 years. According to the National Safety Council (NSC), there was a 6% increase in fatalities, reaching an estimated 40,200 deaths compared to 37,757 deaths in 2015. The last time that there were over 40,000 deaths in a single year was in 2007 – 41,000 fatalities. The council said that the fatality increase in 2015 was the sharpest two-year increase in the last 53 years. Knee Injuries: Injuries to the knee are quite common in car accidents, particularly when a head-on collision occurs. The front of the car is crushed into the driver and/or passenger, which may result in severe leg injuries. The knee is a complex joint and it can suffer different injuries from mild to severe but rarely requires the entire joint to be replaced. Apart from surgery, the injured individual may also need to go through painful physical therapy for months or even years. The average cost of a knee replacement is nearly $50,000. Brain Injuries: Head trauma and brain injuries are types of injuries that occur as a result of auto accidents. Such injuries can range from mild ones with symptoms that last only a few weeks with victims recovering completely to TBI (traumatic brain injury) that leads to devastating, long-term medical conditions as well as disabilities. A mild head injury results in estimated costs of nearly $85,000, while a severe head or brain injury can result in $3 million in medical costs. It is estimated that the annual cost of TBIs in the U.S. is nearly $32 billion. 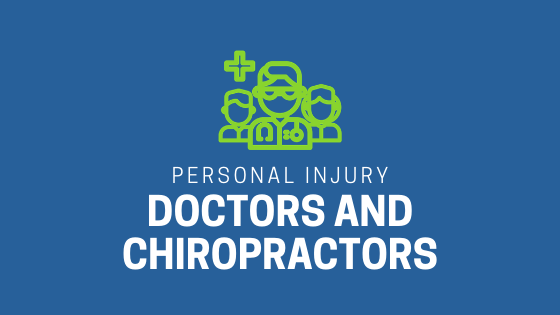 Spinal Cord and Back Injuries: Due to the force of the impact of a collision, spinal cord injuries may occur in auto accidents. 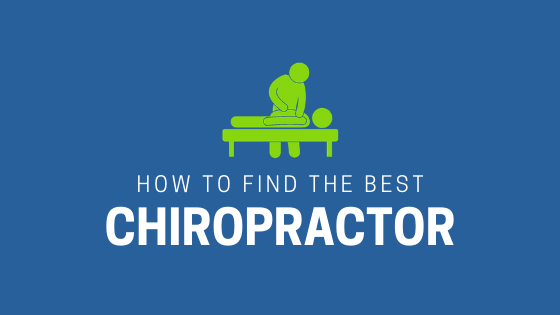 The impact may knock the vertebrae and discs out of place. Victims of car accidents can experience herniated discs that may require surgery. They may also require physical therapy and/or injections, after the surgical procedure has been performed. In some cases, a spinal injury requires emergency surgery to prevent paralysis. Back or spinal cord surgery can cost more than $150,000. Broken Bones and Fractures: Another extremely common type of injury in auto accidents is fractured and broken bones. The recovery period and cost of a broken bone depends largely on the bone that is broken and how severe the injury is. For example, when it comes to a broken arm, the average medical cost is an estimated $16,000 or more if surgery is required. On the other hand, medical costs for a hip fracture would be $40,000 or more. Internal Injuries: Victims of car accidents may suffer from internal injuries, including internal bleeding, punctured organs, and crushed lungs. It is not possible to estimate the cost of surgery for internal injuries. Victims could require any type of surgical procedure, from minimally invasive laparoscopic surgery to a procedure that requires 12 hours or more. Like broken bones, the surgery required depends on the severity of the injury and the organ that is injured. 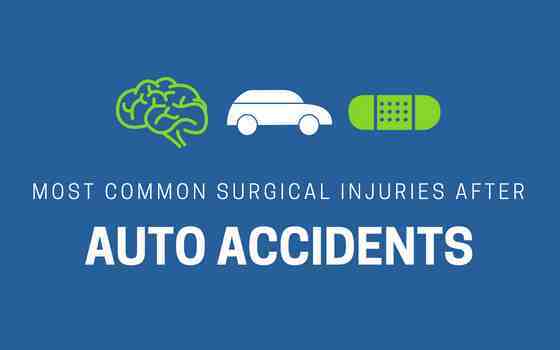 The cost of surgery for internal injuries caused by an auto accident could be astronomical. Lacerations: Despite the use of tempered glass and safety glass in automobile windows, rear-end accidents frequently cause lacerations. Any loose object with a sharp corner or edge can cut the skin’s surface layer. For example, a heavy object, like a briefcase, may hit the driver or passenger at an angle and grind the skin off from the injured area. In many cases, surface lacerations cause a lot of pain, but can generally be treated with stitches, bandages, and antibiotics to prevent any infection. However, there are also lacerations that go deep enough to cause damage to ligaments, veins, arteries or tendons. Such lacerations typically need to be repaired with surgery. 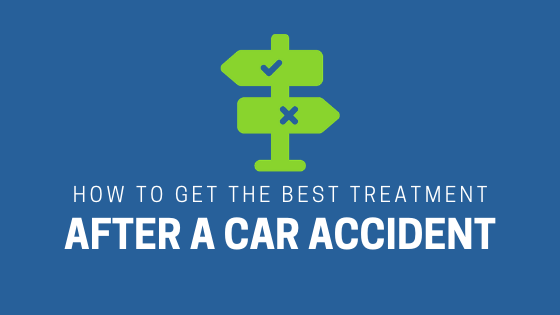 If you have been injured in a car accident, you need to seek top-notch medical attention to avoid any medical complications that may arise from your injuries. For the excellent treatment and care after a car accident, contact Chambers Medical Group or simply call us at 1-888-6BackMan.